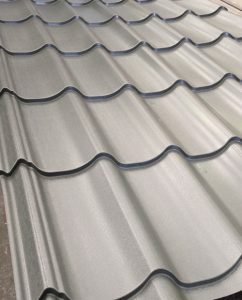 Our Dutch Tile effect steel roof sheets are designed to give that traditional tiled roof look with the benefits and ease of installation of modern coated steel sheeting. 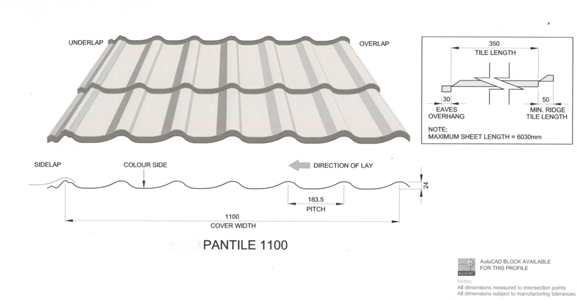 Our classic Pantile form roofing sheets are available in a 0.5mm gauge single skin sheet, in custom lengths up to 6 metres with a 1.100m cover when lapped or as an Insulated Panel system with core depths between 40mm – 100mm and a standard lapped cover of 1.000m. 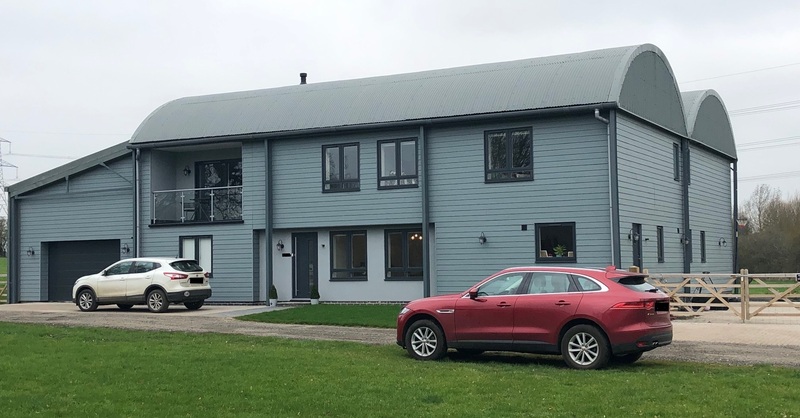 As well as being strong and low maintenance they offer a lightweight, easy to handle solution to meet the specifications of your roofing project. 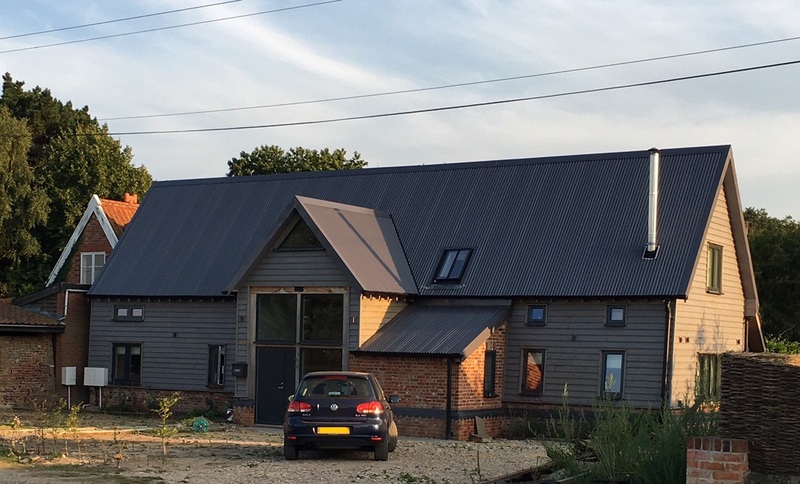 Available in two finishes, Polyester painted or long lasting Plastisol (leathergrain) finish in various colours with Terracotta Red – BS 04C39 and Anthracite Dark Grey – RAL 7016 being your classic roofing favourites meaning you can find the best roofing solution for your agricultural building, domestic garage or workshop and much more. 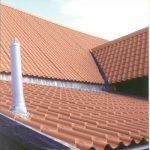 We can also provide you with custom made flashings to match the colour of your tile sheets together with all your fixings, colour coded to match, and your tile form fillers making this the perfect roofing package for your project.